Where do I park at Memories? Free 90 minute street parking is often available in front of the store. Alternatively you may also use the Kalamazoo Mall Parking Ramp (Ramp 3) located at 130 Portage Street (2 minute walk). Let us know when you are in the store if you used the ramp and we will provide a voucher to cover the cost of your parking. (Unfortunately, we are unable to validate for the Radisson Parking Ramp on Rose Street). Click here for parking map. Will you ship my gown out of state for me? Out of the country? We can ship items within the United States, but we cannot ship out of the country. Shipping of bridesmaids dresses is $20 if shipped within the continental U.S. Shipments to Alaska or Hawaii and all wedding gown shipments will require a shipping quote. A trunk show is a special in-store event, lasting one to three days, where you can view and buy from a designer’s latest collection months before they hit the stores. Often trunk shows also feature the designer of the collection or one of their representatives. If you find the dress of your dreams at a trunk show, be prepared to make a decision that day, as the gown will not be in the store once the trunk show is over. Memories hosts several trunk shows every year. Visit our special events page or our Facebook for upcoming dates. If your wedding date is sooner than the time we typically need to have a special-order gown made, we’ll need to consult with the designer and place a “rush” order if available. A “rush” order means that the production of your gown will be expedited and will arrive several weeks faster than a normal order. Not all designers offer “rush” orders and during certain times of year “rush” orders may not be available. Additional fees apply. Due to the special nature of the formal wear industry there are no returns, exchanges or credits on special order items. Items purchased from our stock may be returned for exchange only within 14 days of the original purchase date. Sales are final on all jewelry, headpieces, undergarments, dyed shoes, and Sample Sale purchases. How do I pay for my gown/what kinds of payments to you accept? We accept MasterCard, Visa, and Discover as well as cash and personal checks. If you are ordering a special-order wedding gown, we require at least a 50% deposit at the time you order your gown. When the gown arrives at Memories and passes our quality control check, we’ll contact you to let you know your gown has arrived and to schedule an appointment to try on your dress. We require payment of the remaining balance within 30 day of the phone call. All other items must be paid in full at time of order. If you are buying a sample gown off the rack, we require at least a 30% initial payment and the balance is due within 90 days or by your event date, whichever comes first (layaway at our Prom Shops is 30 days). If you’ve requested that we ship your gown to you, your balance must be paid in full before it can be shipped. Yes. We like to work one on one with our brides and so bridal appointments are required. However, we will do our best to accommodate walk-in customers when possible. [Click here to schedule an appointment]. Bridal appointments generally last 60 – 90 minutes. Bring pictures of favorite dresses that you’ve seen on our website or in magazines. This will help your consultant understand what kind of look you’re envisioning. And be sure to bring an open mind – you may surprise yourself at what gowns you end up falling in love with. We will provide you with a corset and slip as well as shoes during your appointment. We suggest bringing only 1-2 close friends or family members who know you the best and whose opinions you value. Bringing more than 3 guests can take the focus off of you. In order to offer our customers the most diverse selection possible, Memories operates as a boutique style store which means we feature a wide variety of gowns but typically only stock one sample of each dress. When you find the perfect gown we will then special order the dress for you in your desired size and color. I am plus size. Do you have gowns I can try on in my size? Yes. Our samples typically range from size 6 through 22, and most of our gowns can be special ordered up to size 28. May I take pictures at my appointment? Yes. Once you’ve found the perfect dress we do allow you to take photos to capture the moment if you desire. However, we don’t recommend relying on photos to help make your gown decision. Non-professional photos can make even the best dress look unflattering. It’s best to decide on the dress while you’re trying it on. No. Appointments are not required to shop for accessories. However, an appointment is required if you would like to try your wedding gown on while choosing your accessories (strongly recommended). We recommend ordering your bridal gown at least 9-12 months before your wedding date. Since our gowns are made upon request, special orders can take up to 6 months to arrive and you’ll want to leave plenty of time to allow for alterations. We recommend ordering bridesmaid’s and mother’s gowns at least 6-9 months before the wedding as they can take up to four months to arrive. My wedding is over a year away, what is the advantage of ordering my gown so far in advance? Aside from bridal designers needing significant time to deliver your gown, ordering your gown well in advance will give you the peace of mind knowing that a major decision is taken care of. Since your bridal gown helps set the tone of your wedding, finalizing your dress choice will also help make the rest of your planning decisions easier. In addition, designers periodically discontinue dresses, often without much notice, meaning your gown may no longer be available if you wait too long to order. My wedding is in less than 4 months – is it too late to get a gown? No, it’s not too late, but every second counts! Many of our gowns are available to be purchased off the rack, and for an additional fee, certain gowns may be able to be “rush ordered.” Your consultant will help determine which options best fit your needs. How do I make a decision on my wedding gown when my mother/sister/best friend cannot be at the appointment? If you are certain you want your gown, but you just need a second opinion, it is often best to work with an experienced sales consultant who is able to be objective. Our sales consultants are extremely patient and knowledgeable, and never let you walk out of the salon without the perfect gown. If it is important to you to involve your mother or other trusted friend but they cannot physically attend your appointment, we offer free Wi-Fi so that you can use Skype or Facetime to include them in your appointment . Why is it a bad idea to buy a dress online? Shopping online makes sense for some items but your wedding gown and bridesmaids’ dresses are not one of them. We’ve heard from countless girls who thought they were getting a great deal shopping online just to have their weddings ruined when their gowns either did not arrive on time for the wedding or were cheap knock-offs of the designs they thought they were purchasing. 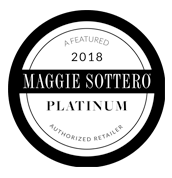 When you purchase your wedding gown at a full-service bridal salon, you’re buying much more than a gown – you’re buying peace of mind and expert service. 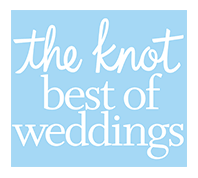 Reputable bridal salons such as Memories, stand behind their products and will do everything in their power to make sure your wedding is just as you dreamed. When should I start shopping for my bridesmaids and will I need an appointment? We suggest ordering you bridesmaids’ gowns at least 6 months prior to your wedding date since most bridesmaids’ orders can take up to 4 months to arrive. Appointments are not necessary to browse our bridesmaids’ gowns, but if you would like to bring a group of your bridesmaids in we do suggest making an appointment so we can make sure to have a consultant available for you. Once you have made your selection and completed your bridesmaids’ roster, your bridesmaids will simply need to visit a bridal salon or seamstress near them to have their basic measurements taken. This is something many salons do free of charge, just be sure to call ahead to verify. We will then assist each bridesmaid in choosing the proper size based on their measurements and can process their orders over the phone. Your bridal gown will typically arrive at Memories 3-4 months after ordering (select gowns or gowns with custom changes may take longer). Upon receiving the gown from the designer, we steam and inspect the dress and will contact you via phone or email as soon as your gown is ready. At this time, you can then schedule an appointment to try on your dress and make arrangements to take care of any balance owed on your gown. If you desire, we can store your bridal gown free of charge until your wedding date. Our bridal gowns typically range in price from $699-$3,000 with most brides selecting gowns in the $1,000-$1,800 range. Most bridesmaid’s dresses range from $129-$259. When I order my gown do I need to pay for it all up front? No, we do not require full payment at the time of the initial order. If you prefer you can pay 50% down to start the order and the remaining balance is due within 30 days of the gown’s arrival. Can I bring my bridal gown to you after the wedding for cleaning and preservation? Absolutely! We offer dry cleaning and preservation service for bridal gowns at a discounted rate for our customers. See here for more details. How far in advance should I purchase my pageant gown? The earlier you shop the better. Most of our pageant customers purchase gowns off the rack, but if a gown needs to be special ordered many pageant dresses can take up to 3 months to arrive. Will you sell my same dress to anyone else in my pageant? No. We register all our gowns and won’t sell your same dress to anyone else in your pageant (even in a different color). What is the price range of your pageant gowns? Our pageant gowns typically range in price from $299-$1,400 with most pageant customers selecting gowns in the $399-799 range. Are your tuxedos available for rent or are they for sale? Our tuxedos are all rentals. We do not offer tuxedos for purchase. My groomsmen live in another part of the state/country. What do I do? Once you have made your style selections and filled out a tuxedo roster at Memories, your groomsmen can then take our “Out-of-Town Measurement Form” to any men’s store, tuxedo retailer, or tailor near them and have their measurements taken. This is common in the industry and many retailers will do this at no charge. Your groomsmen can then email the form to us or call us with the measurements and we can process their order over the phone. When will my tuxedo be ready for pickup? For weekend events, we typically have tuxes ready by the Thursday prior to the event. However, on some high-demand weekends items may not be available for pickup until the day before the event. For weekday events, tuxes are usually available at least 2 days prior to the event. As soon as your tux arrives you should come into the store for your final fitting to insure that everything fits properly. All tuxedos rentals must be returned the day after the event (we are open 7 days a week). Items not returned the next day may incur a $25 per day late fee. Do you have tuxedos in stock? No. Like most tuxedo rental stores we do not stock our own tuxedos. 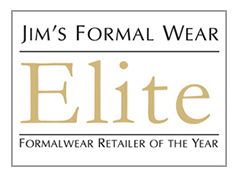 Rather we partner with the country’s largest and most prestigious tuxedo distributor, Jim’s Formal Wear. This allows us to offer you the most diverse selection of tuxes available at the best prices.